I’ve been quite busy these last few days, so once again I’m having to write a summary. Only of four days though, that’s pretty good by recent standards, I’d say. 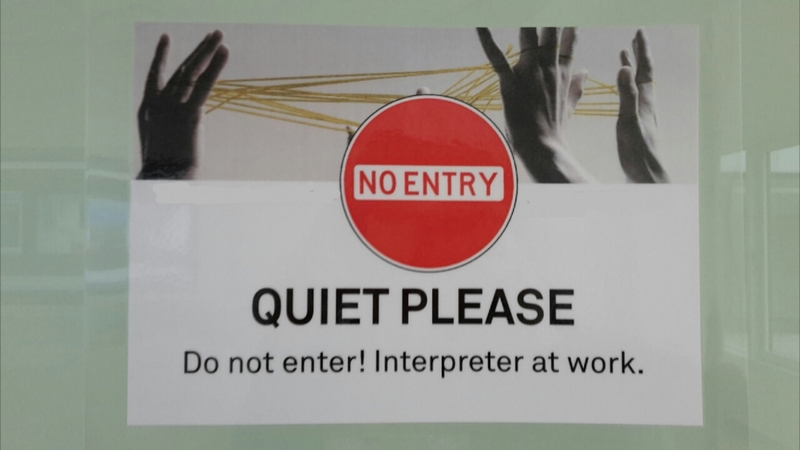 On Thursday I interpreted at an in-house event at my work and for the first time ever, I worked from a separate room rather than having to whisper at the back of the room. It’s so much more relaxed! You can talk in a normal voice, gesture, doodle on a pad of paper and sit comfortably rather than having to look neat. I was also recorded for the first time and the recording will be audible in a video of the event to be posted on our company website. Exciting stuff! On Friday, I got to hear the recording. The first time since my studies that I ever heard myself interpreting. I’m pretty happy with what I heard. I sound fluent and convincing – and what I’m saying makes sense. I also tried vitello truffato for the first time at our work Christmas do. Definitely a starter to try if you ever get the chance. Yesterday, I was ridiculously hung-over and didn’t get up to much. There were geothermal measurements going on in our neighbourhood so it was the first time I saw the pretty impressive trucks they use and heard the crazily loud thudding as they measure. As a dessert, I had marshmallow fluff, which was a “first” for me. 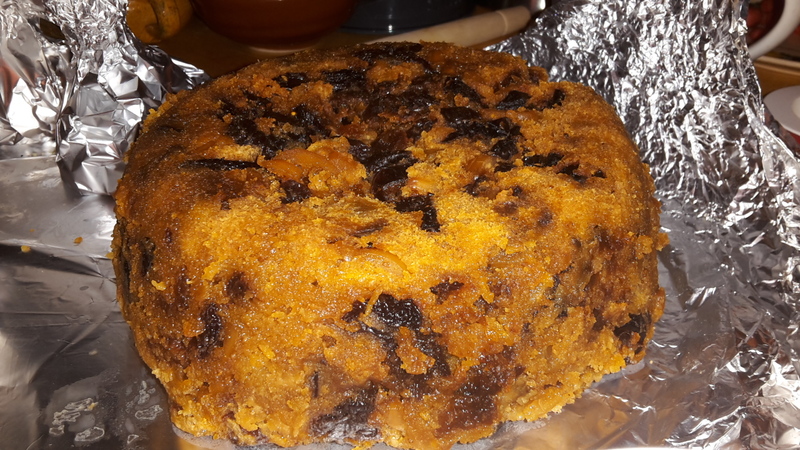 Today, I did something that I’m quite proud of: I made Christmas pudding! There was a bit of mix leftover, so I made some little ones in addition and we tried one straight away when they were done. 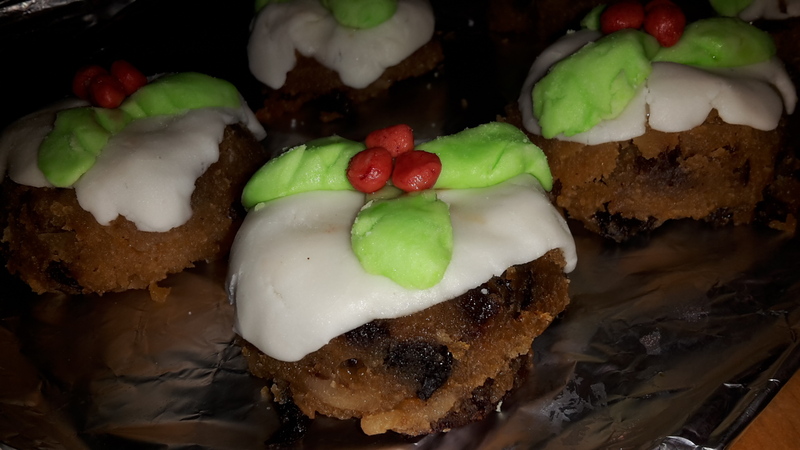 C. said it tastes like Christmas pudding should do so I’m happy with that (as well as with my neat fondant (also home-made for the first time ever) decorations… I hope this will make my in-laws feel a bit at home during their first German Christmas. Next > Days 354 and 355 – me on a stage!